I am sure you will agree that if you are into fitness and healthy eating then there are a lot better ways to start the day than with a stack of fluffy pancakes. There are other options, like oatmeal, smoothies, eggs, protein shakes etc. The thing is, pancakes are a very carb heavy breakfast. Three 7” pancakes, a few slabs of butter, and a drizzle of syrup can add up to 1000 calories, half the energy you need in a day. And sure, it’s great to start off with a kick, but unless you’re up for a 1.5 hour run before noon, your body will store some of that energy in your belly (and thighs if you’re me). Excess sugar gets stored in the fat cells, making you gain weight an appear flabby. 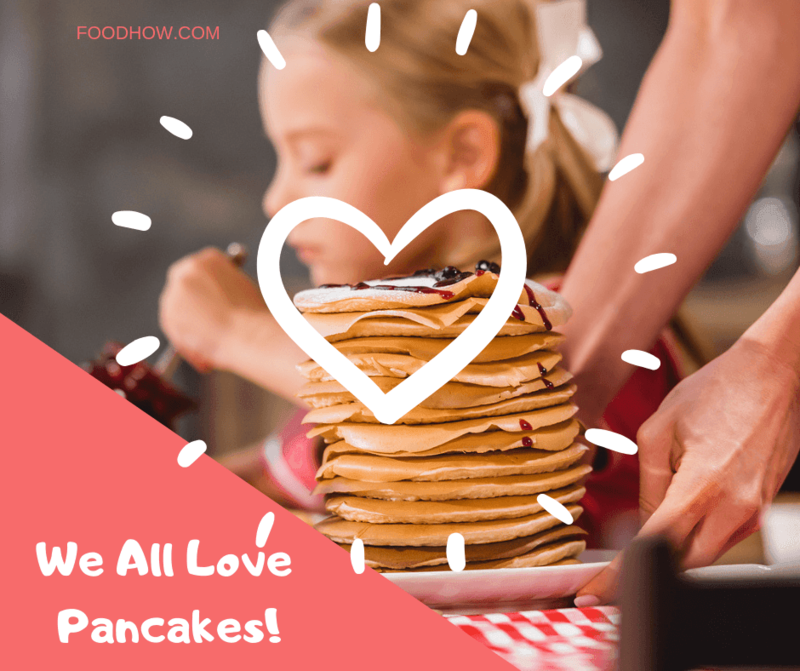 But we all do love pancakes, America’s darling have a place in everyone’s heart and are sure to bring back childhood memories. So, is there a ​​​​​way to upgrade pancakes and get them in tune with a healthy diet​? Full of empty carbs and a minimal amount of protein, pancakes just don't seem like a good choice whichever way you look at it. But let’s not be pancake haters, let’s be pancake makers and see what can be done. Where there’s a will, there’s a way. If you think about it, pancakes are a blank canvas and can be the vehicle for very healthy ingredients. 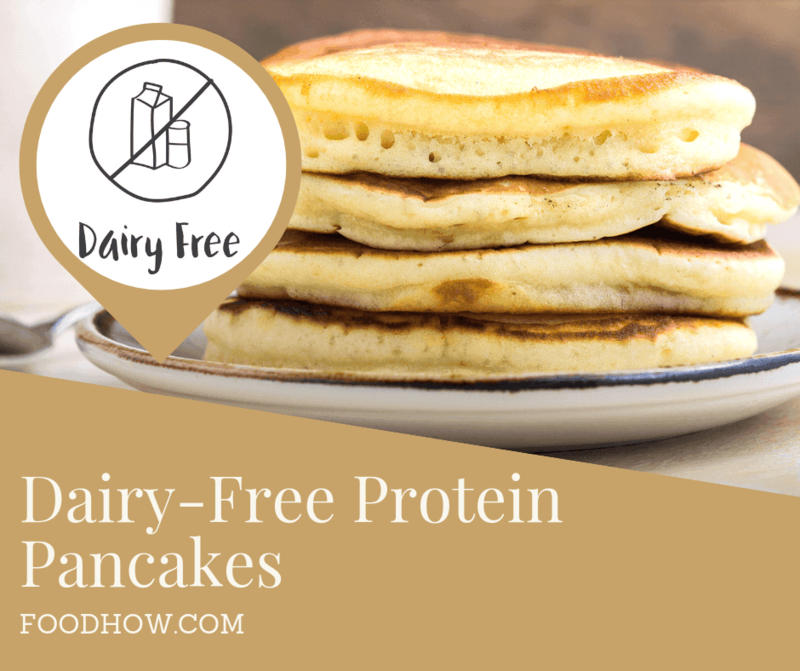 Protein pancakes are the right kind of pancakes, and they’re just as delicious as your good ol’ flapjacks, and quite often more-so! 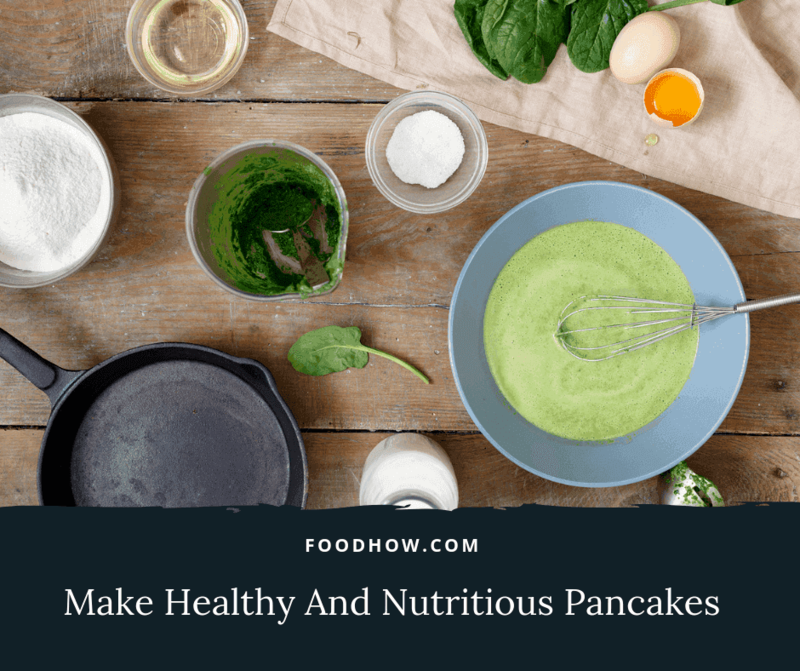 Mixing and matching ingredients like whole flour, oats, healthy food powders, bananas, protein powders and various grains, you can make a super-food out of your pancakes. And there’s good news; you don’t have to reinvent the wheel, I have done the research for you. Here are the best protein pancake recipes on the web. But first I would like to share my own recipe that I have invented for my cheat days. Feel free to save it, use it, share it or modify it any way you like. But don't just try my one, try them all and tell me in the comments below which one’s your favourite. Whisk the dry ingredients of this protein powder pancake recipe together. This includes protein powder, baking powder, almond flour, and salt. Add the egg yolks, milk, ¼ cup of unsalted butter and vanilla extract to the dry ingredients. Stir to combine. Use an electric mixer to beat the egg whites on medium-high speed in a separate bowl until stiff peaks form. This step of the protein powder pancake recipe ensures light, fluffy pancakes. Fold the beaten egg whites into the pancake batter. Add half of the 2 tablespoons of butter to a large non-stick skillet and melt over medium-low heat. Pour the batter into the skillet in ¼ cup portions. 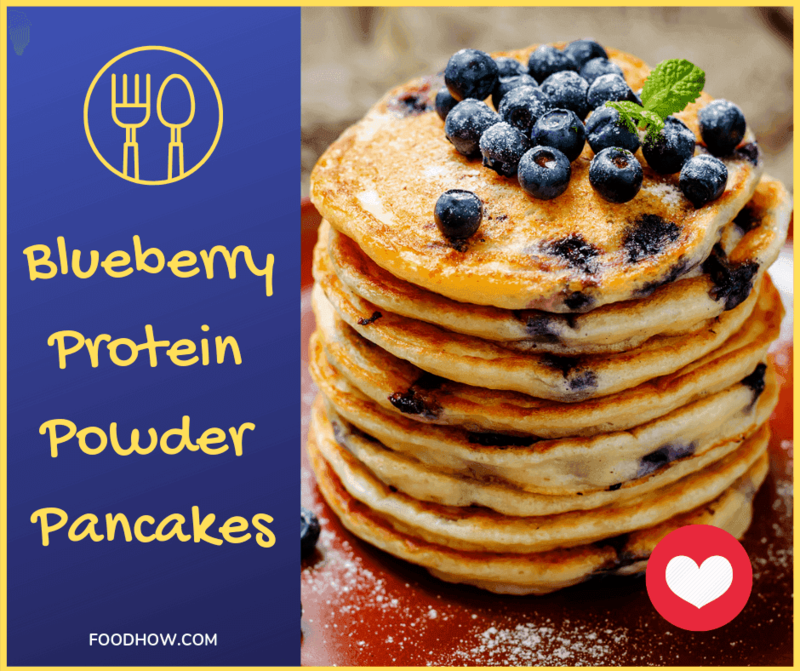 Scatter a few blueberries on top of each pancake. Let cook undisturbed until bubbles begin to form on the surface. Flip and let cook for another minute or so. Transfer the cooked pancakes to a serving platter, melt the remaining butter in the skillet and repeat until all pancakes are done. Serve with Yacon Syrup, maple syrup or a drizzle of honey. Blended oats, eggs, banana, and cinnamon make up this simple and healthy pancake recipe. All in all, it’s only four ingredients. The oats give the starchy texture of the pancakes and the egg is the glue that keeps it all together. The Banana gives added thickness, sweetness, and goodness to it. These are easy and super-fun and great for children also. 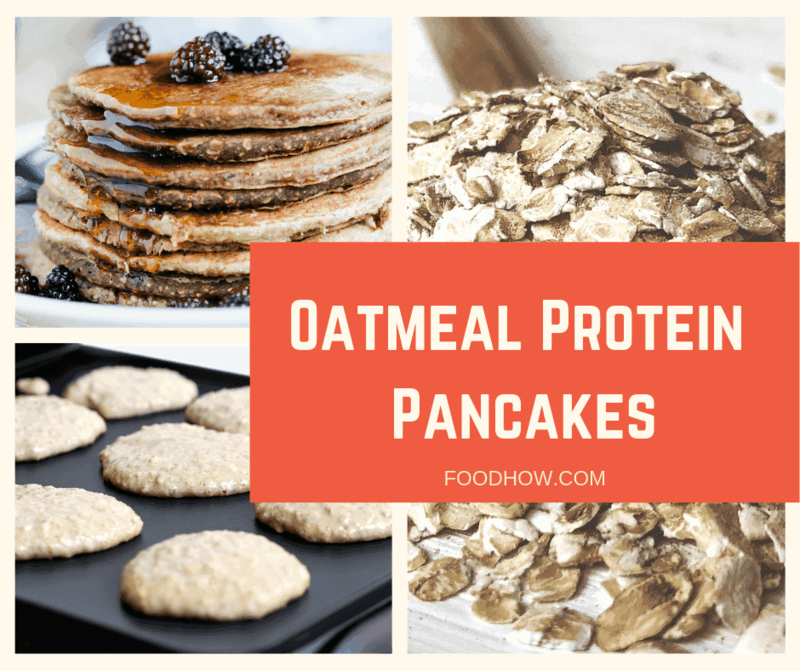 Be warned, they are thicker and tougher than the pancakes you may be used to, but they are an easy way to sneak in more protein into your breakfast. 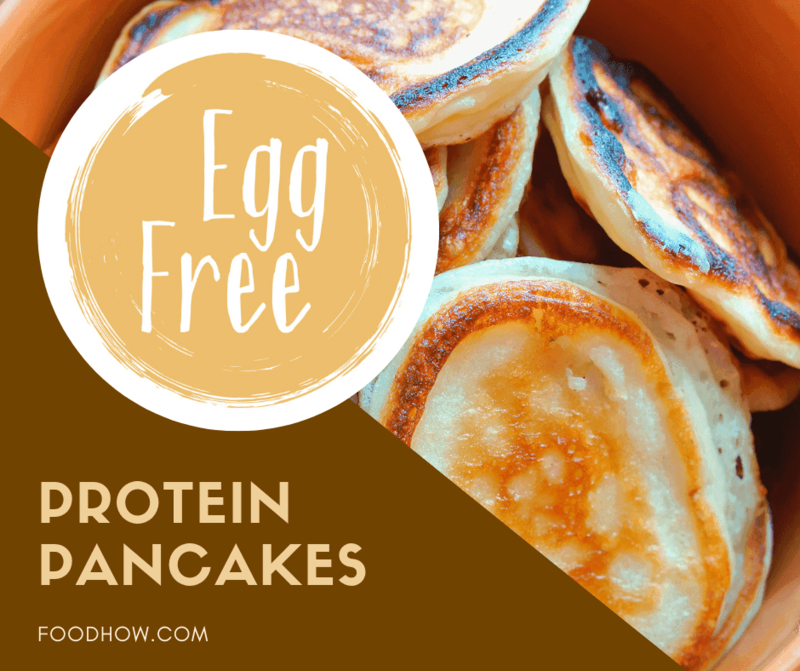 This variant uses egg-whites and protein powder to make a higher protein, leaner version of pancakes. It is low sugar and so is relevant to diabetics and prediabetics. This recipe includes uncooked oats as one of the main ingredients. They can be stored in the refrigerator and be eaten anytime! Superfoods are more popular than ever. These nutrient-dense foods that provide a host of health benefits are a must-have addition to your healthy eating regime. While so many people already enjoying their benefits, others may struggle to incorporate them in their daily diet. One of the great ways to add these nutrient-rich foods to your menu is by including them in your pancakes. 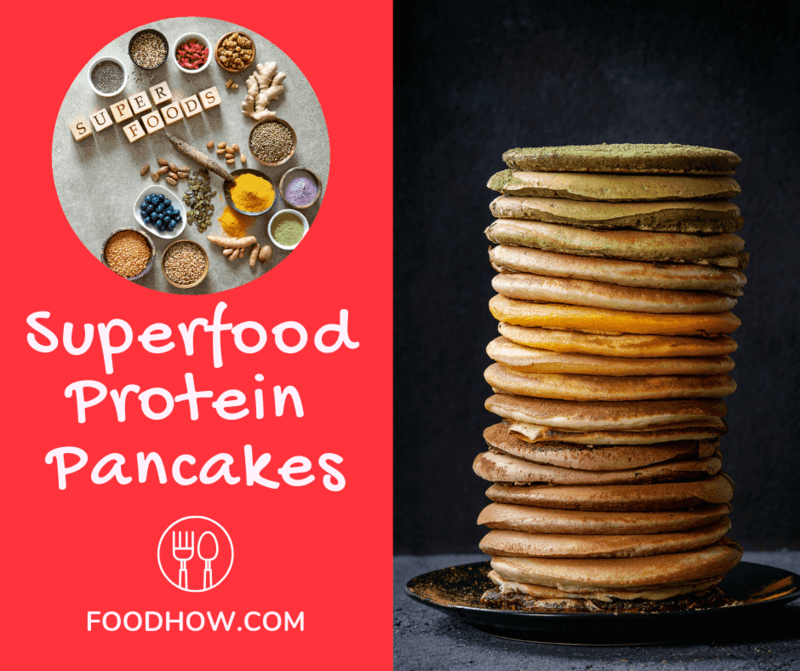 There are many amazing superfoods to choose from, here is a list of my favourite superfoods that are perfect for making Super Pancakes. So, choose one or more of these and create delicious pancakes which not only taste amazing but will also bring long-term health benefits. 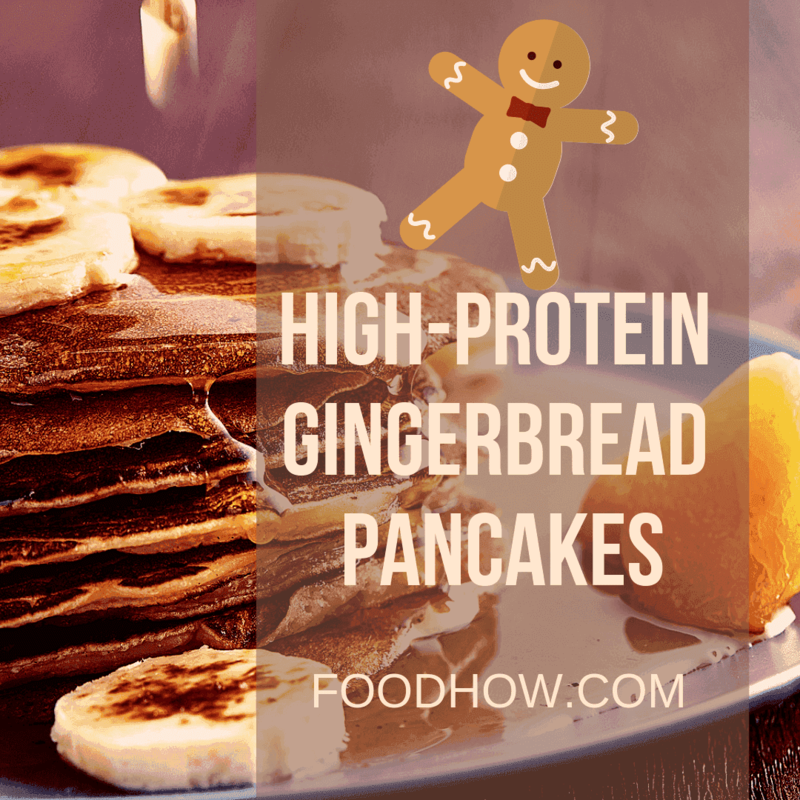 Try these golden turmeric high protein pancakes as these are so very delicious. And the turmeric, it has been used for centuries, not just for pancakes but it has been used for colour, flavour, to preserve foods and also as a remedy for so many conditions. Turmeric is a wonder food and has been commonplace in eastern primarily Indian kitchens for centuries. Whoever came up with the idea to add turmeric into their pancake mix was an absolute genius as it not only gives them such a nice golden colour but it makes them also super healthy and delicious. And as modern science knows, turmeric is one of the healthiest food herbs on the planet and has numerous medicinal benefits. I have written an article here about turmeric and why you would never stop once you start using it. You probably won't stop making these pancakes either once you have tried them. 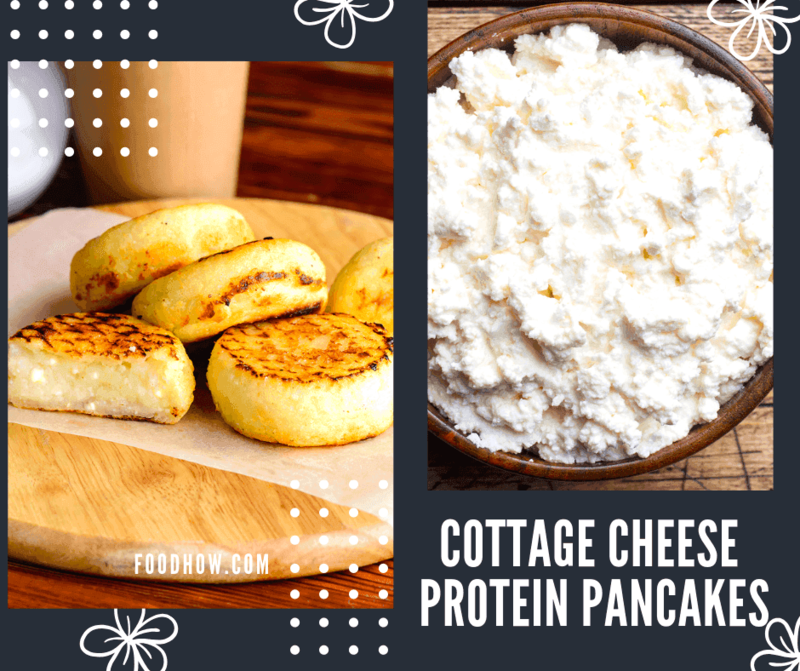 These following recipes use high protein plant foods such as quinoa and broccoli because they are dense in protein, and the recipes contain ingredients that make the pancakes more savoury and less sweet. The first recipe uses chicken, egg, and quinoa, all three high quality proteins, and blends them together to make a supercharged protein pancake with a lot of flavour. This second one is vegan, using blended broccoli, egg-white substitute, and other plant foods that still pack a protein punch. This recipe is a festive green pancake considering St. Patrick’s Day is coming up. It features natural, vegan ingredients like almond milk, banana, spinach, quinoa flour, protein powder, coconut flour, and even 2 large eggs thrown in. This trendy pancake is sure to be popular with the younger people who are environmentally conscious. This second recipe will be a hit with bodybuilders and those trying to build attractive physiques. The recipe calls for egg, spinach, oats, banana, and whey protein powder. High in protein, and the writer says you can’t even taste the spinach, which is true, as I have made these twice now and I absolutely loved them. Fashercise seems like a stylish and new website that is for the fit and fabulous. But they’re pancake recipe is deceptively simple. Just eggs, rolled oats, almond milk, and soya protein. Simple and easy! The second link features a recipe that I also really like. 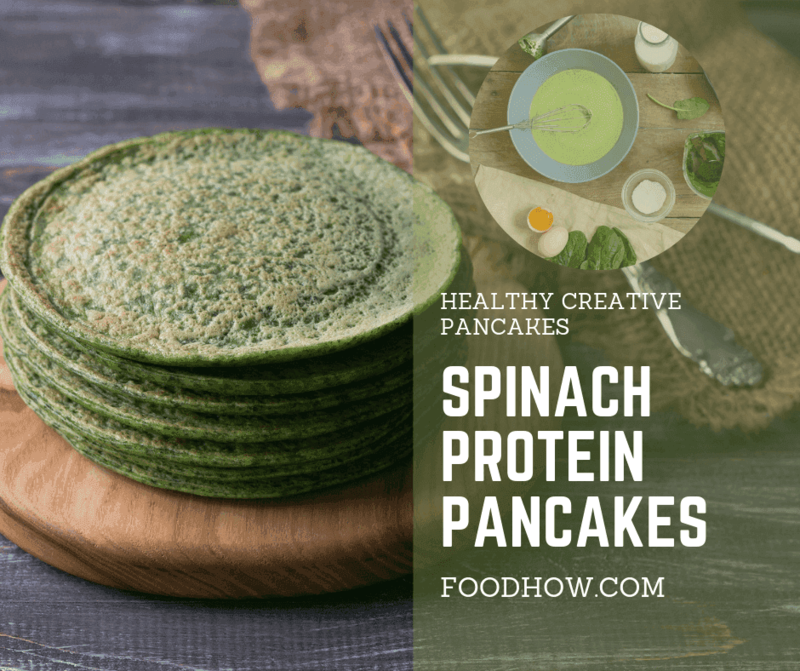 It is a twist on the traditional, the main ingredient is chickpea flour, common in India, and also spinach, protein powder, and stevia, as well as a few minor additions. You don't need to wait for Christmas to try these Gingerbread Pancakes. These are high protein pancakes that feature eggs and cottage cheese, but they are not boring at all. Instead, they feature a lot of different spices to kick it up a bit, and the flavour and aroma is enticing, like fall in New York or a coffee-shop serving up pumpkin spice lattes. So you have it all, protein, a good quality cooking oil, and plenty of spices to impart flavour to the pancake. This may be a reader favourite. Cutting down on carbs? No problem, you can still enjoy pancakes for breakfast. 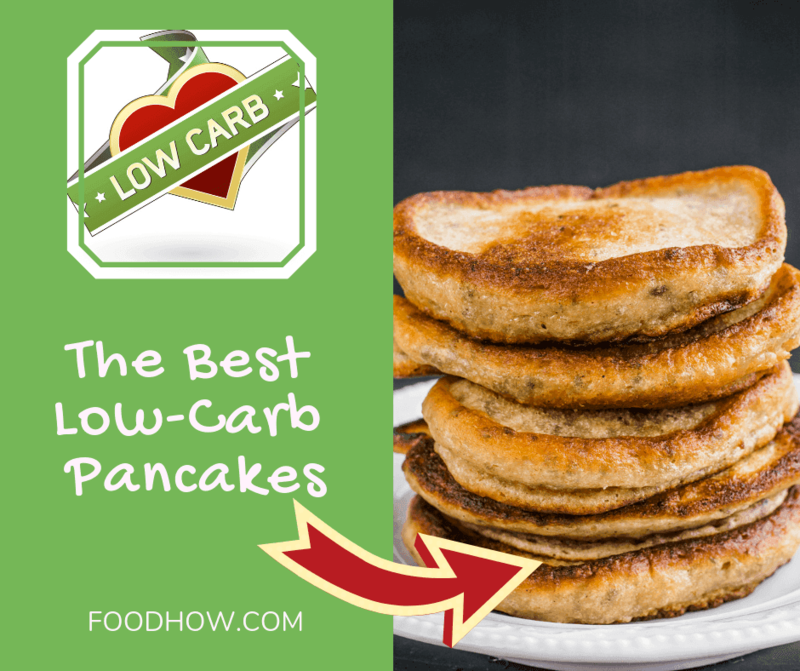 Here are a few really nice Low Carb Protein Pancake recipes for you to enjoy. These ones are obviously once again for people in fitness and in bodybuilding once. Easy to make, containing whey protein powder, egg whites, fat for greasing, a mainstream stevia brand sweetener, and baking powder. That’s it. The first one is from a body building website, so you know it is quality approved to pack on maximum muscle and minimum fat. It may not be the most flavorful of all these pancake recipes, but it gets the end-result, a lean attractive body and minimum carb intake. 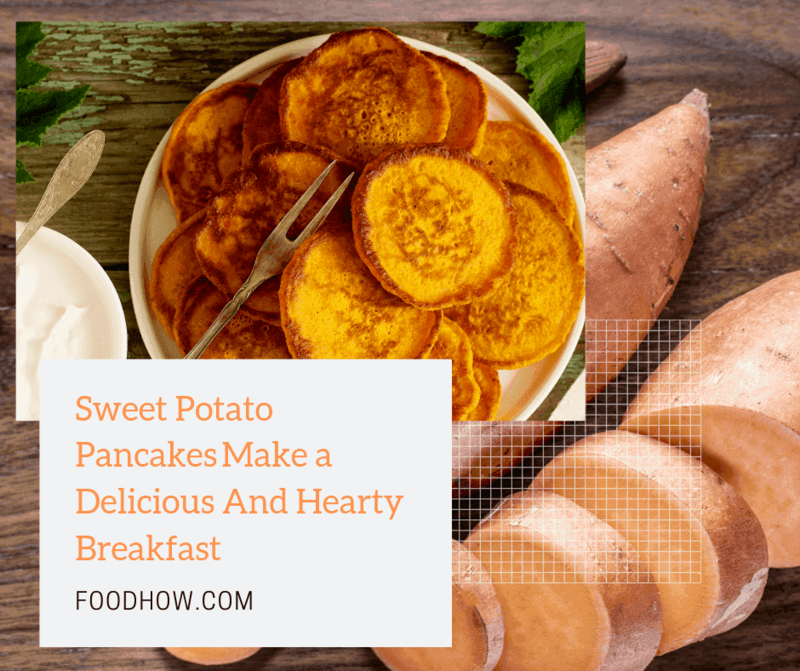 If you have been looking for a more creative post-workout protein meal that is really delicious yet healthy then these Sweet Potato Pancake recipes are just for you. These also may be a hit with all the foodies the world over. Sweet Potato is a comfort food vegetable, and this rendering is sweet and savory. These recipes feature a bit more labor intensive cooking method (compared to the other ones) but delivers an end-result that is delicious and warming. Sweet potatoes are first peeled, chopped, and boiled in water, then mashed, and then blended with other fine ingredients including eggs, vanilla extract, buckwheat flour (gluten free), and cinnamon. Then they are sautéed in coconut oil, which is one of the best for health. I have made the first one and I really did like it and I am planning to make the second recipe soon. Some people are vegan or just don’t like eggs for some reason. So they invented a pancake recipe for them too. The recipe from runningonrealfood.com uses flour and other traditional ingredients that may take more time but are worth it to those who don’t use animal products. The second recipe, from rhiansrecipes.com, uses more quintessential pancake ingredients like oats, banana, almond milk, vegan protein powder, baking soda, baking powder, and coconut oil for frying. 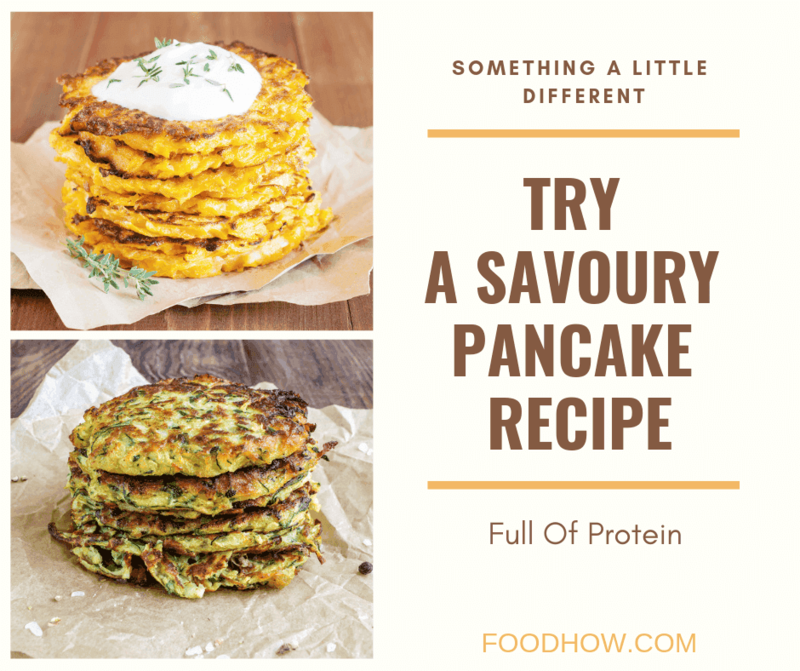 The extra ingredients make sure the pancakes are light and fluffy, and there is a whole list of qualities these pancakes have on the website which attract the reader to trying this vegan recipe. Some people like to get protein from dairy products naturally, and the best dairy product for protein is without a doubt cottage cheese. It’s been popular with low carb dieters for decades. These two recipes use cottage cheese in their pancakes. The second recipe, from blueprintnutrition.ca, is classic but moderate. It calls for eggs, cottage cheese, and whole wheat flour, but also uses milk, baking powder, maple syrup for sweetener and some ground flax for healthy Omega 3s and a teaspoon of vanilla extract for intense flavour. You should really try both of these recipes! Chocolate Pancakes don't sound so healthy but these ones actually are. Try these Chocolate Protein Pancake Recipes below. 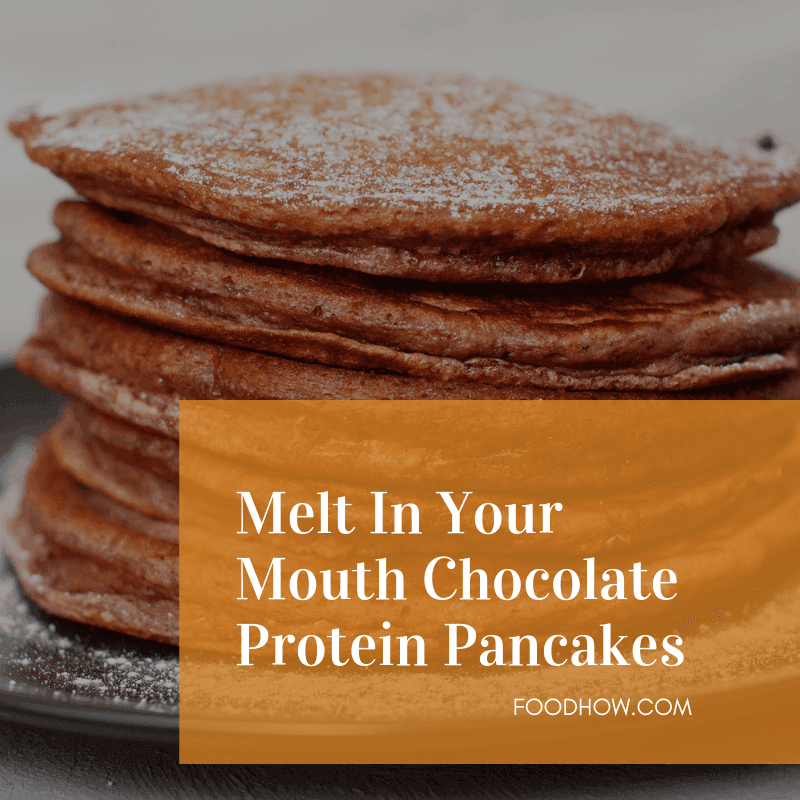 The first recipe from healthymummy uses typical ingredients like eggs, whole flour, and milk, but also uses her patented chocolate protein powder and some real cacao also. A very indulgent flavour and yet high in protein and fit for an active lifestyle. The second recipe uses a whole treasure trove of ingredients to form decadent high protein chocolate pancakes. Things like eggs, oil, and flour, buttermilk and bananas, and also protein powder and smaller ingredients. I can tell you from my personal experience that the end result is very tasteful, but it’s quite a chore to make pancakes this good. 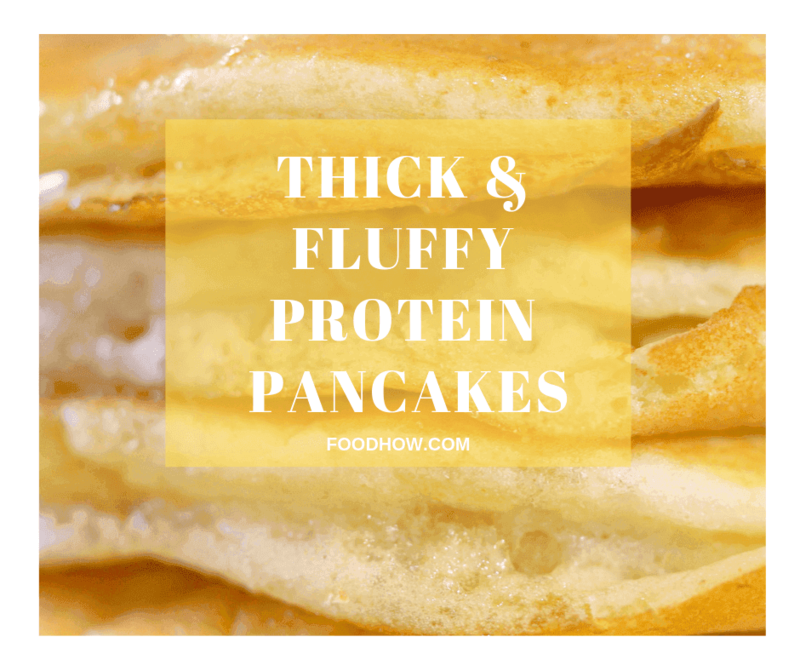 Who doesn't like thick and fluffy pancakes, especially if these are full of healthy and nutritious ingredients. However, with all these protein pancake recipes, the problem is making them fluffy and light like the traditional, not so healthy recipe is. Some of the aforementioned recipes call for baking soda or powder or both. In the first recipe, peanut butter, oat flour, and the patented SunWarrior plant protein powder give it fluff and nutrition, as well as the standard ingredients that include baking soda and baking powder. The second recipe, from fastpaleo.com, is much more simple, economical, and streamlined. Its base is coconut flour, but it also features eggs, baking powder, vanilla protein powder, and almond milk. Healthy, natural ingredients and not too complicated to have on hand at any time. Well, If you don't like thick and fluffy pancakes then don't worry, I got something right for you. 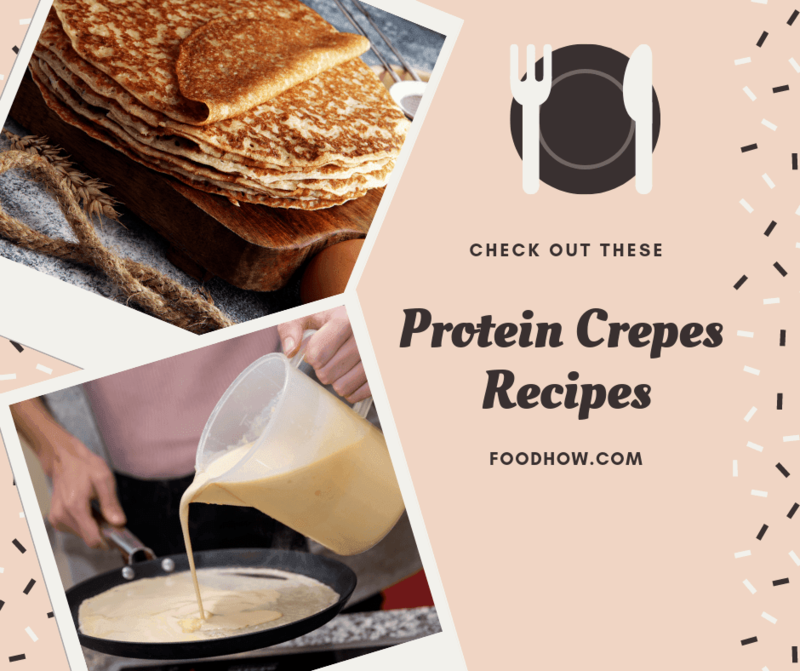 Try these awesome Protein Crepes Recipes ​below. The second recipe also uses egg whites and protein powder, but adds a bit of complexity with almond milk, berries as a topping (a low carb fruit), and flax seed for fats and stevia for sweetener. Not a bad development past the first recipe, but still practical and minimalistic. 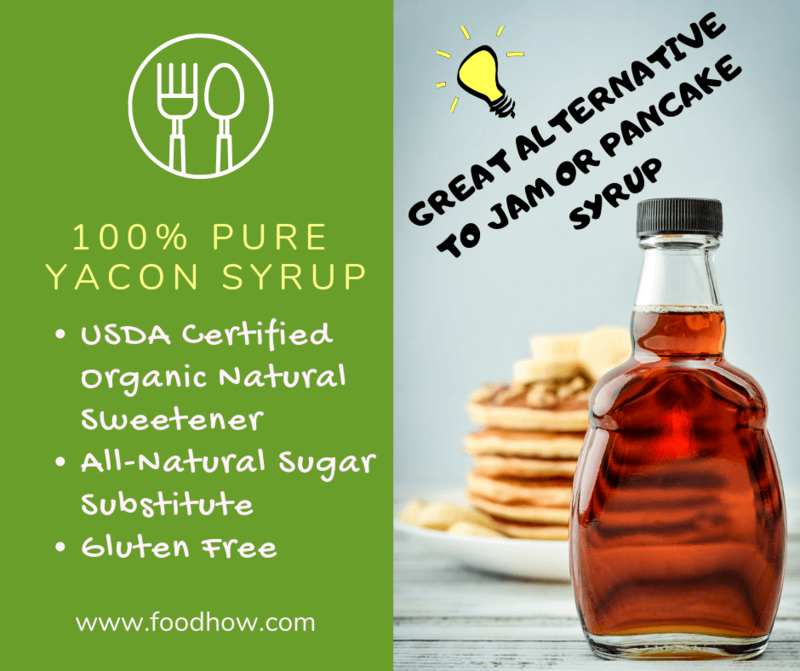 If you’re avoiding sugar and also artificial sweeteners you may find it difficult to find the right replacement for your pancake syrup. That was exactly the problem I had. I didn't want to sabotage all the effort making these healthy pancakes and then covering it with sugary syrup or a jam. So I was rotating between honey, maple syrup and sugar-free syrup which is not that bad but not ideal either. As I was trying to keep my daily calories low and follow a nutritious, healthy, chemical-free lifestyle I wanted something more suitable to enjoy my pancakes guilty free. And then I discovered something that was absolutely perfect, natural sweetener with a low-calorie count, delicious tastes and prebiotic abilities. Now you know, pancakes are back. And they’re reclaiming their well-deserved spot as America’s favorite breakfast; because they are healthy now, and so good. Cook for your loved ones; cook for you. Every day can be pancake day. Fill your house with that awesome smell and have a great day. Do you have a delicious protein pancake recipe that you want to share? If so then let me know below and I will post it here for everyone to enjoy. 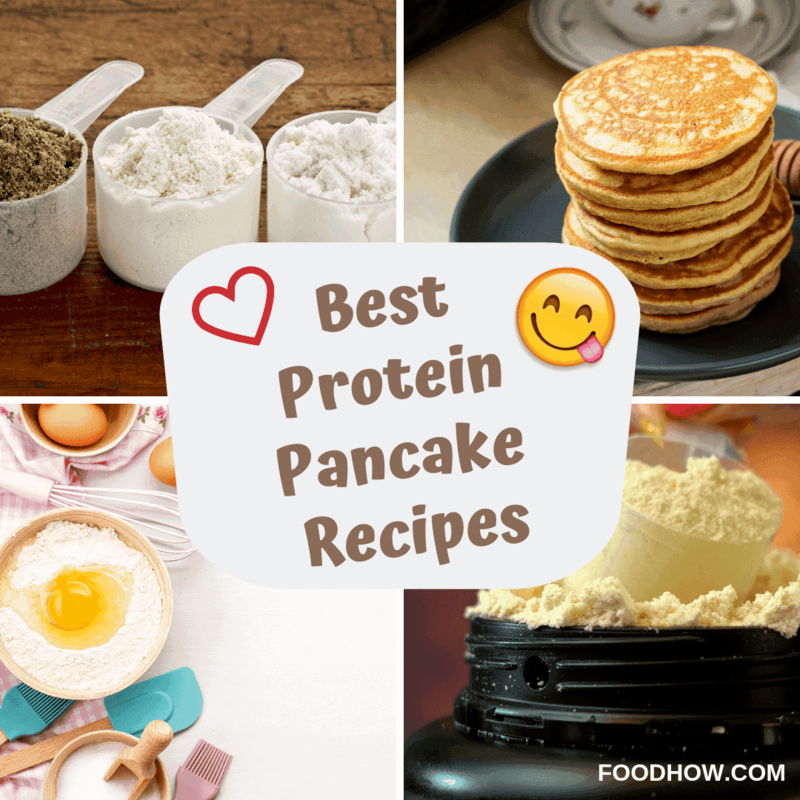 Write a short and original description of your protein pancake recipe (not the entire recipe) and include the webpage where the recipe can be found. I am going to try this one tomorrow! I only need to pick up a few things. I really think that this is one we will enjoy. I like to be careful with protein pancake recipes. I’ve experimented with a lot of them, and to be honest, some of them come with just an awful bitter aftertaste that don’t belong anywhere near my beloved pancakes. Since we’ve started trying to eat a bit healthier in our house (as our girls got older both of them were diagnosed with PCOS, which I deal with also) we’ve found that incorporating veggies works the best for us. All of us are a little sensitive to the protein powder taste, so we go with things like sweet potato pancakes (my favorite!) or else we combine the protein powder pancake mixes with really strong flavors, like cinnamon. Those gingerbread pancakes have my NAME on them, though, I am going to try those out. I never met a holiday flavor I didn’t like!